E.M.I. Italia provides its customers a line of industrial paint baking furnaces specially designed for baking paints and annealing glass sheets and plate glass. 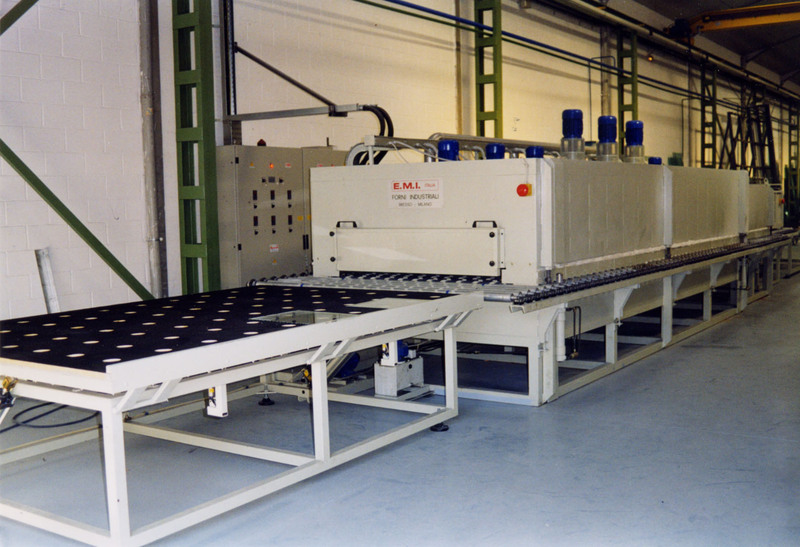 These systems are used for baking sheets that have been screen printed with high temperature paint and for annealing flat glass.